The rod accessory company The Rod Glove has added their first university / college fishing team to their list of sponsored organizations. The Rod Glove will sponsoring the University of Kentucky Bass Fishing Team for the 2011 season, providing the team with financial support and of course, custom branded rod gloves. The University of Kentucky Bass Fishing Team believes in the product and The Rod Glove believes in the Kentucky Bass Team and college fishing as a whole. Currently The Kentucky Bass team has 17 members and has plans to fish events in the FLW College Fishing Series as well as other collegiate events. The team is lead by head coach Dave Stewart, a guide on Kentucky Lake. The University of Kentucky bass team was started in 2004 and has been expanding their program every year to compete in more events and at a higher level. Club President, J.T. Peake, all the anglers and coaches are eagerly anticipating a great season in 2011 and The Rod Glove is proud to be a part of this effort. 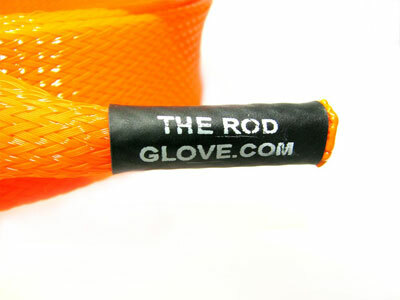 The Rod Glove has great protectors for various size rods at an affordable price point. They also offer custom branding options on their covers and have recently released their new Technique Tags, which slide over The Rod Glove and identify which bait is on your rod while it is still in the sleeve. To learn more about their products, visit www.TheRodGlove.com.